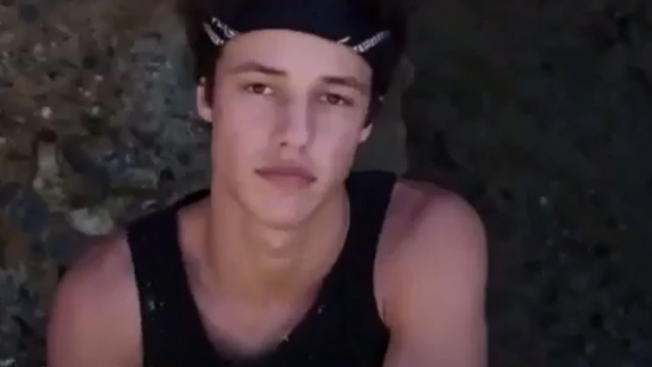 Gander.tv, founded as an ad-supported streaming video guide to New York nightlife, is moving into the national content market with shows created and hosted by Vine superstars Nash Grier and Cameron Dallas. Vine is proving to be an increasingly important platform for advertisers and content creators, allowing them to post ultra-short, looping videos. And Vine stars are attracting new and old media producers. With the vlogging site recently making it easier for all users to upload clips, and companies such as Ford building campaigns around six-second spots, deals like Grier's and Dallas's could become common. Grier debuted his live stream on Aug. 27, and Dallas’ show is "coming soon." Neither show will be edited or produced by Gander.tv, and viewers are being promised a chance to chat with the teen hosts. This marks the second major deal for the two Vine stars, who were signed by AwesomenessTV in April to film a movie together. Grier and Dallas each claim social followings of about 10 million across Vine, Twitter, YouTube, Instagram and other platforms. Gander.tv points to 35 million viewers each month, and it plans to introduce other subscription-only content soon. Chris Carey, founder and CEO of Gander parent Eyes on the Go called the new shows "amazing" opportunities for his site. "These broadcasts will bring a highly desirable demographic. The combination of building a strong subscriber base, plus attracting well-priced ads make this a huge win for us," he said in a statement. Separate subscriptions are needed for Nash’s and Dallas’ shows, at yearly rates of $29.99 or monthly rates of $2.99. Subscribers must affirm being 13 or older. New shows are scheduled to post weekly.